On Saturday evening the "Exile Buskers" an Irish/English Folk music band will be playing in the Market Place with a pig Roast. 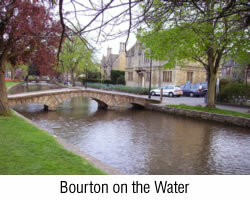 Longborough is situated near Moreton in the Marsh Gloucestershire. The GWR is all ready for their big event of the year - the Cotswold Festival of Steam- which is based at their Toddington, Winchcombe and Cheltenham Racecourse stations. 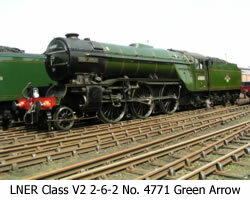 The biggest "name" will be Gresley LNER V2 class 2-6-2 No 4771 Green Arrow which is coming from the National Railway Museum in York. Hidcote Gardens - eat your heart out - Ebrington and District Gardening Club are going to the Hampton Court Flower Show in July. Ebrington are going for gold in the RHS Window Box and Hanging Basket Competition. The villagers of Ebrington have revived an ancient tradition to sing a welcome to the month of May and to spring. The church choir turned out at 6.30 am on 1st May , with seven singers at the top of the church tower and four others on the ground. Organiser Christine Cluley said that this choral welcome would now be an annual permanent fixture and that the choir is already planning next year's programme. 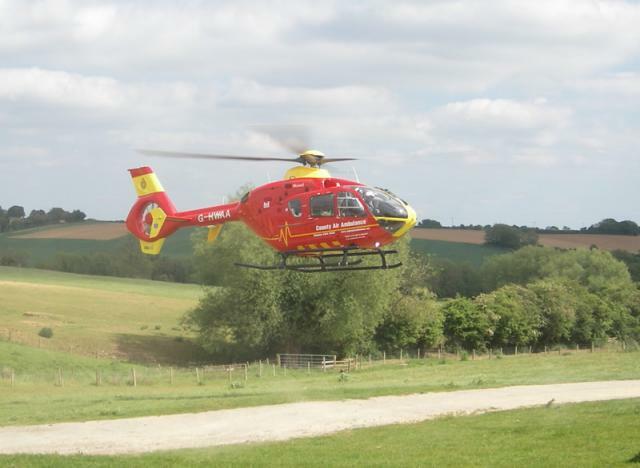 The distinctive red helicopter of the County Air Ambulance landed in the field behind Little Gidding this afternoon(Wednesday). It was called to assist with a person who was taken ill at The Ebrington Arms. More than 20 gardens will be open this year. Tickets are available from outside the town hall from 12pm each day. All proceeds will go to Action Medical Research. April has brought the commencement of the fourth season, which, after a very wet period in early March, has seen the allotments dry out to the extreme on the surface. Twelve plots are in use by the co-operative, leaded by a growing number of participants, each receiving fresh vegetables and flowers for their efforts - payment in kind on a sharing basis. A portion of the produce is given to various inhabitants of Mickleton, just for the pleasure of giving.